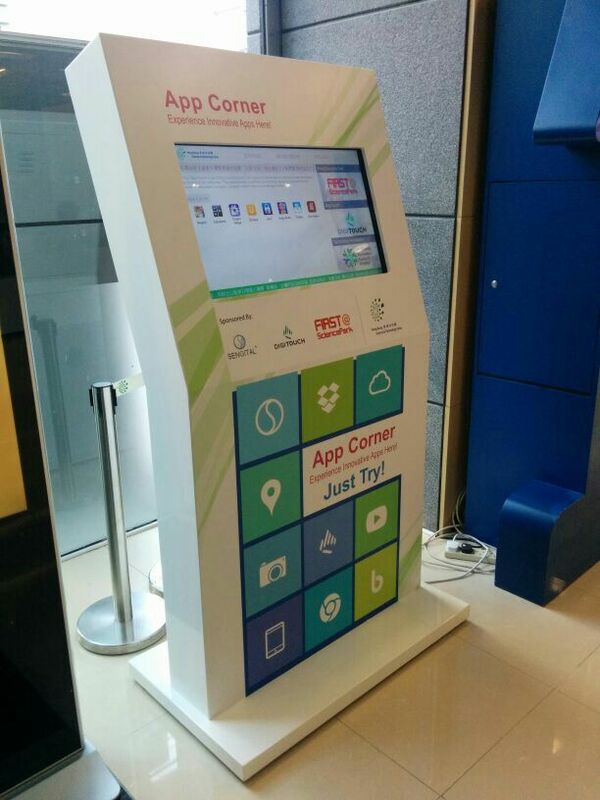 DigiTouch Kiosk for First@Science Park named “App Corner” located at the zone near the Service Counter at Enterprise Place in Hong Kong Science Park had been set up. It welcomes all innovative apps from HKSTP’s companies to get involved and participate. “First@SciencePark” programme facilitates Hong Kong Science and Technology Parks Corporation’s partner companies to showcase or trial their technologies and products in our Hong Kong Science Park. Through this programme, Hong Kong Science and Technology Parks Corporation (HKSTPC) assists the participating companies to get first-hand feedback on their technologies and products, thus enhancing their business competitiveness.